The Former Sanada Residence (Shingoten) retains its original form as a private house of the feudal lord from the Edo period. It was built by the 9th lord of the Matsushiro Domain, Yukinori Sanada in the late-Edo period (1864) as the retreat for his mother, Teishoin. 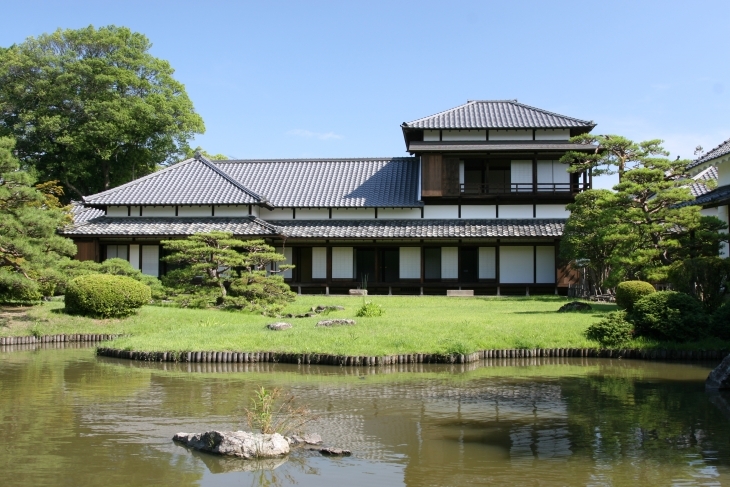 After the Meiji Restoration, it was used as the private residence for the Sanada family. 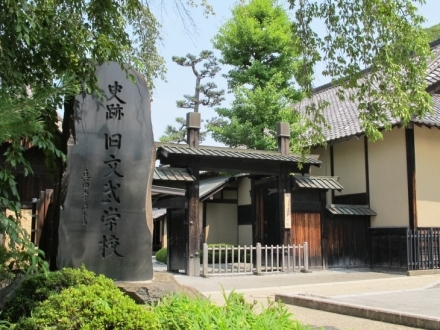 The house was transferred to the City of Nagano in 1966, along with the family treasures of the Sanadas, and remains a municipal property up to the present day. Japanese garden in the Zakanshiki (style in which best enjoyed while viewing from a fixed viewing point) style entertains visitors with the elegance of seasonal colors and scenery. Approx. 2 km from Nagano IC, or approx. 30 min on the bus to Matsushiro from JR Nagano station, get off at " Matsushiroeki" stop and walk for 3 min. *Admission free for Elementary and Junior high school students on Saturdays. "Top 100 Castles Stamp" available.